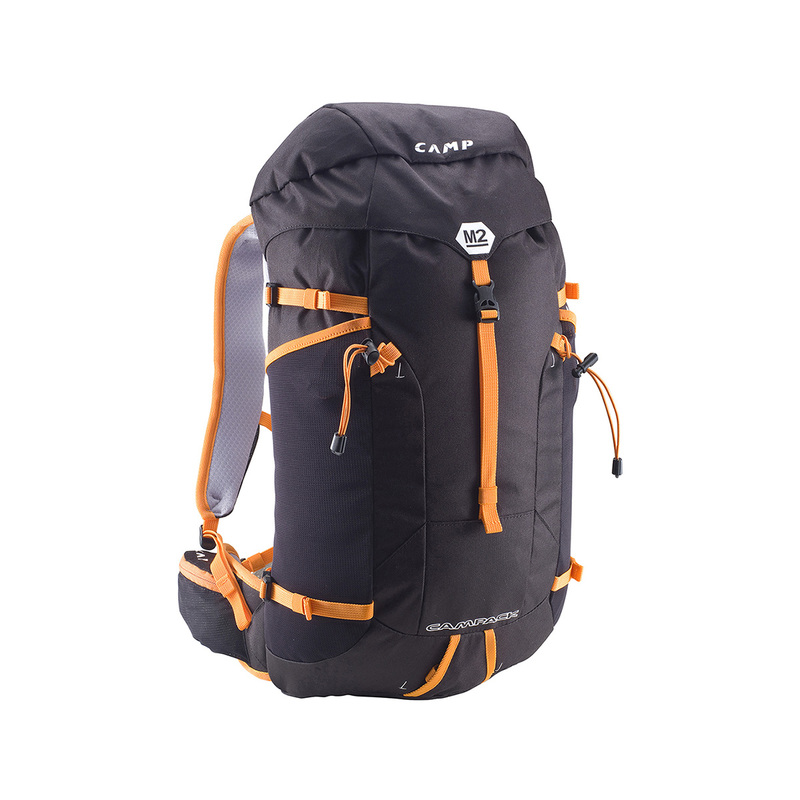 The M2 from Camp is a simple yet effective alpine backpack for recreational ski tourers and mountaineers who want fast, light ascents. Tough and low-profile, with a 20 litre capacity, the M2 has all the features the modern alpinist needs: it’s hydration bladder compatible, with large mesh pockets at the sides and smaller zip-up pouches in the ventilated, padded shoulder straps so you can store all your essentials within easy reach, and the waist-belt padding can be removed for technical climbing. 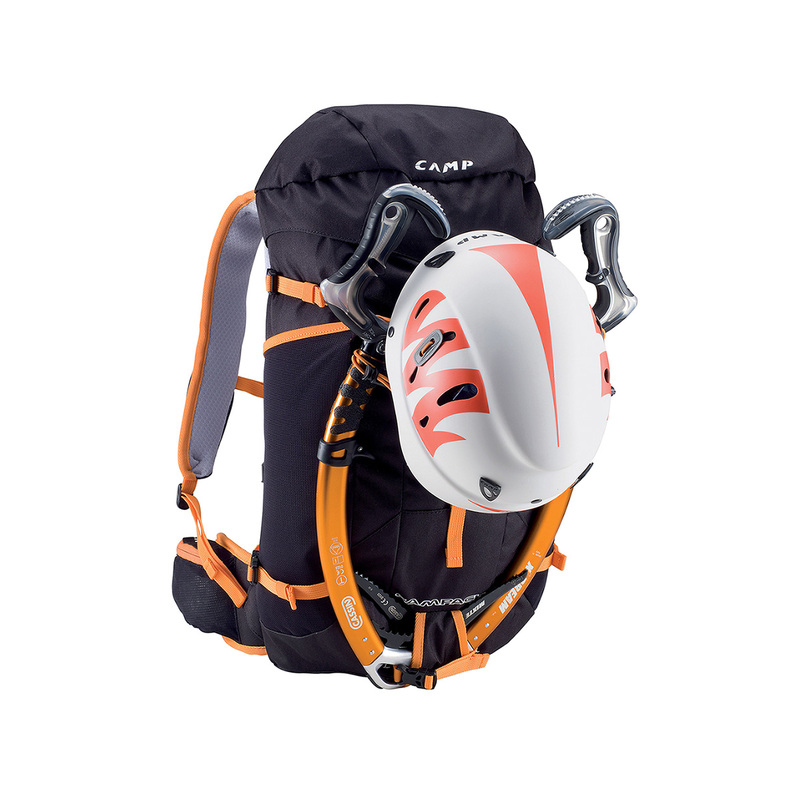 The light steel frame keeps the shape of the bag, even when skis are attached via the lateral attachment systems, while the external rope straps, ice axe carriers and hide-away helmet attachment system make the most of the outside of the pack, too. Ripstop is a fabric weaving technique, most commonly used with Nylon and polyester, to increase the strength of the fabric and stop it from tearing. Originally used in military standard parachutes, the ripstop weave is an integrated crosshatch pattern of thicker fibres, placed at intervals across the fabric. This pattern acts as a barrier to stop the fabric from tearing, and if it does end up getting ripped, the ripstop pattern will stop it from tearing further.